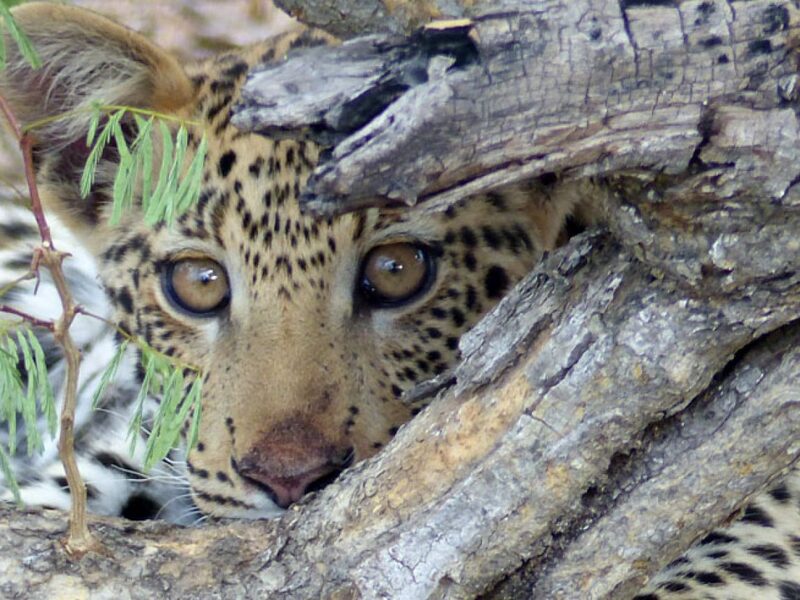 A highlight of any visit to Namibia is the AfriCat Foundation is a non-profit organisation founded in the early 1990s. Based in the heart of the Okonjima Nature Reserve, their goal is the long-term survival of Namibia’s predators in their natural habitat. 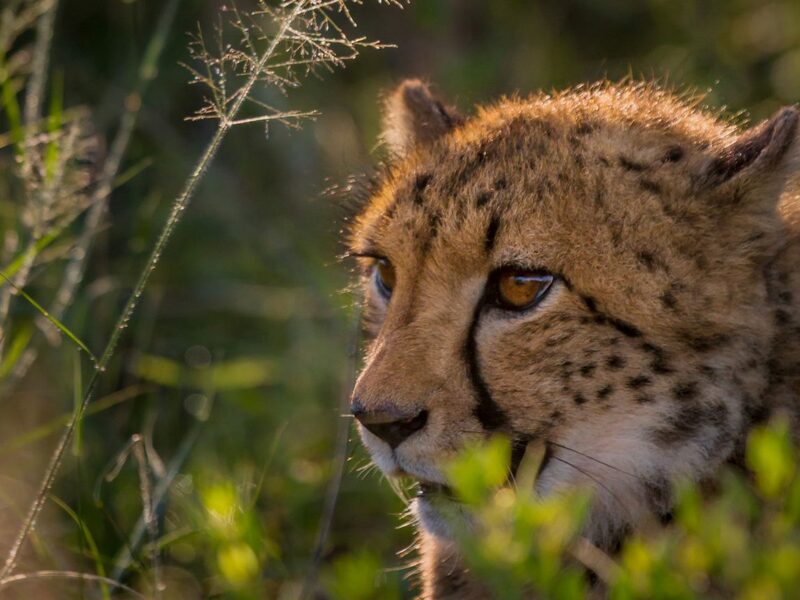 AfriCat has saved more than 1000 predators since its inception and over 80% of them have been released back into the wild. AfriCat is most well known for cheetahs but also works with leopards, lions, hyenas and wild dogs. During a day visit to AfriCat you can learn more about the excellent work they do and view some of the animals in the large enclosures of the Carnivore Care Centre. You may even have the opportunity to meet Dune! 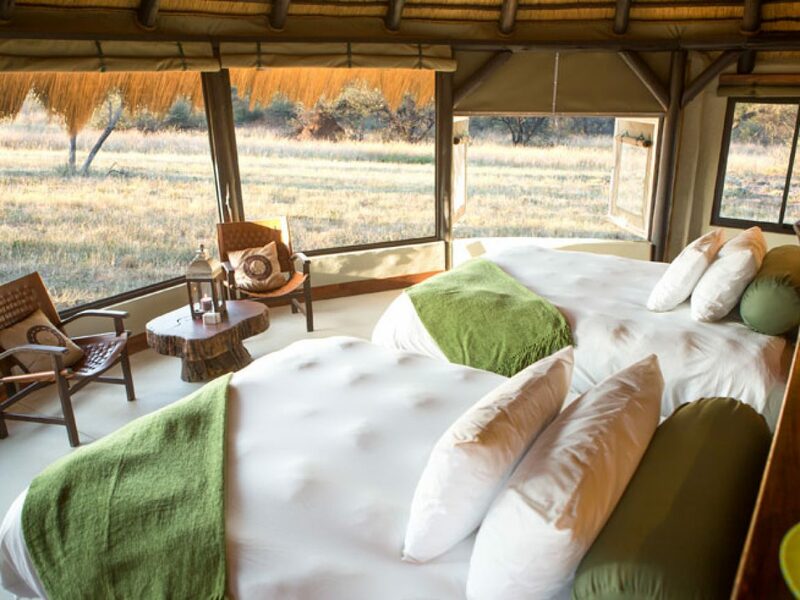 For those with more time, we highly recommend staying at Okonjima Plains Camp or Okonjima Bush Camp. 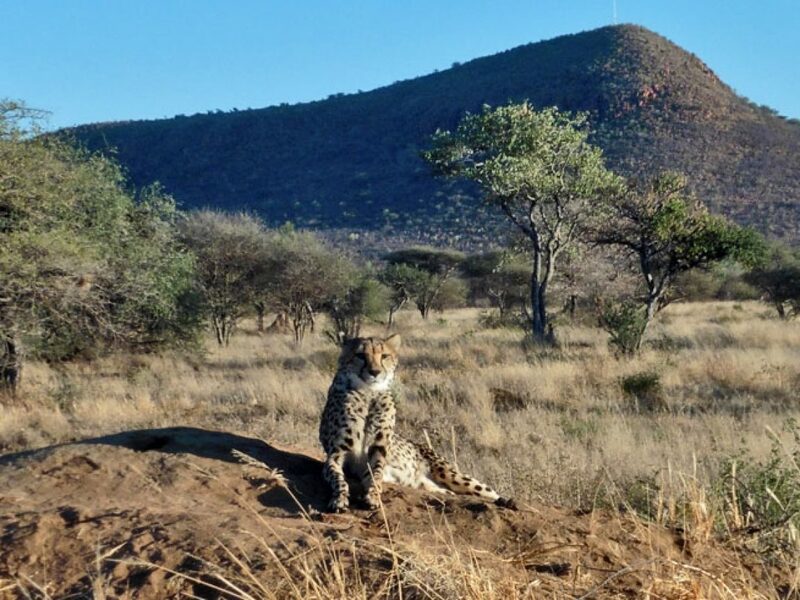 Here you can join a game drive in search of the newly released cheetahs and leopards that roam the 20,000-hectare Okonjima Nature Reserve. Dune was discovered with her brother in May 2015 near Dune 7 (hence her name), near Walvis Bay. She was only 4-5 months old at the time and Dune and her brother were severely dehydrated and in a bad state. Sadly her brother died soon after they were found. 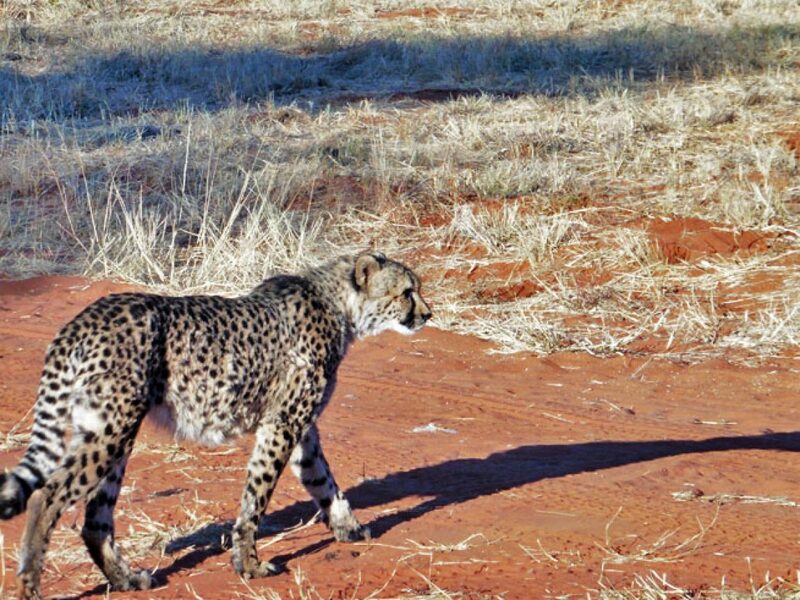 Dune was then taken to AfriCat where she made friends with another cheetah named Nyx. In June 2015 Nyx died due to complications resulting from a pelvis fracture, and poor Dune had to suffer the third loss in her short life. Things are now looking up for Dune, her body condition has improved and she has a good appetite. She has recently been introduced to two other orphaned cubs in the hope that they will all be released together. This maximises their chances of survival in the wild. As the bonding attempt with the other orphaned cubs was unsuccessful, Dune was released into the Okonjima Nature Reserve by herself on 09 October 2018. Female cheetahs are naturally solitary, and so the hope is that she will quickly find her feet and adapt to this new, unfamiliar life in the wild. Since her release, she has been seen in the same area with another solitary female cheetah, with no signs of aggression shown. 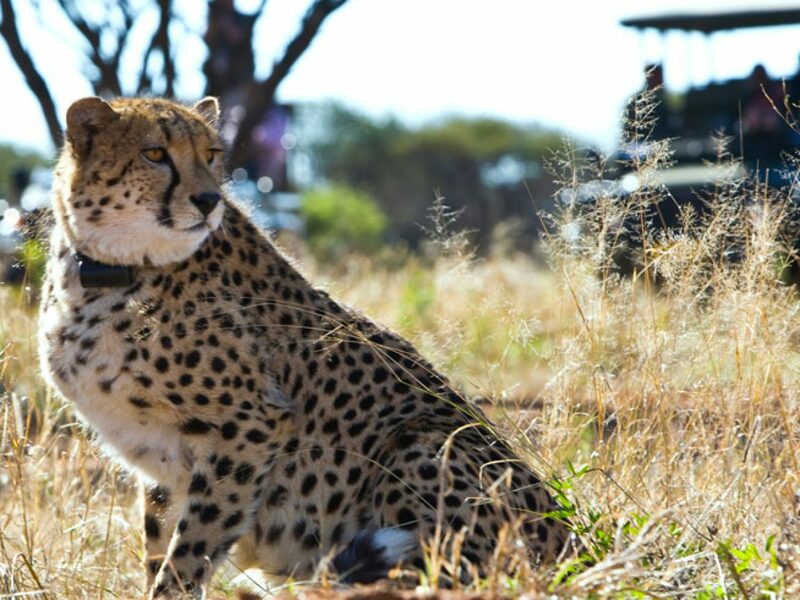 Dune will continue to be monitored on a daily basis and the AfriCat team will assist in providing food and water when necessary if she struggles to hunt. But the signs are promising for her future in the wild! The AfriCat Foundation is dependent on support to maintain their various programmes. 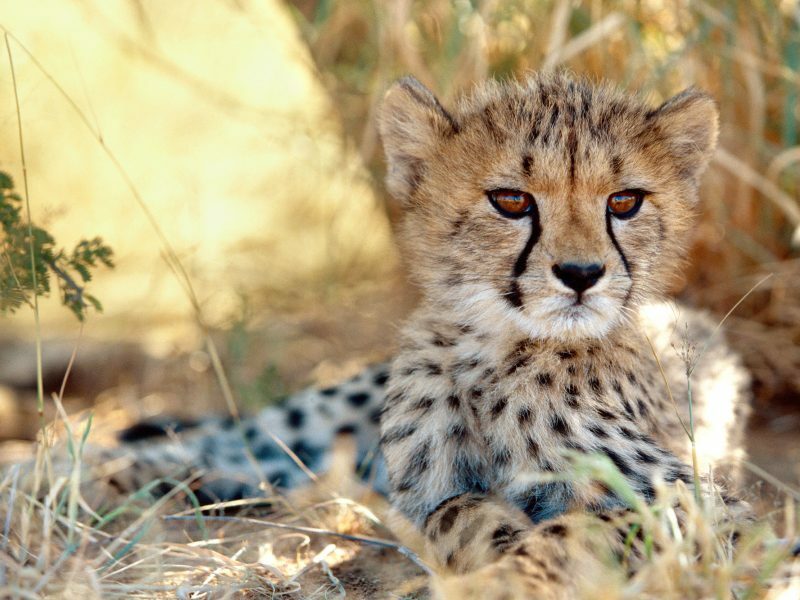 If you would like to support AfriCat yourself, either by donating or by adopting an animal, click here.